According to a new study out of Michigan State University, writing about your feelings may help you perform an upcoming stressful task more efficiently by freeing up cognitive resources that would otherwise be used to reduce stress during the task itself. This is the first neural evidence suggesting that expressive writing provides relief from cognitive overload. What Does Brain Science Tell Us? For the study, which was published in the online journal Psychophysiology, college students who identified as chronically anxious completed a computer-based task measuring their response accuracy and reaction times. Half of the participants participated in an expressive writing task beforehand, reflecting on the upcoming task for eight minutes; the other half also completed a writing exercise, but wrote about what they did the day before. Schroder and his team found that, while the two groups scored about the same on speed and accuracy, the expressive writing group scored higher on overall efficiency, meaning they used fewer brain resources, as measured in the lab by electroencephalography (EEG). 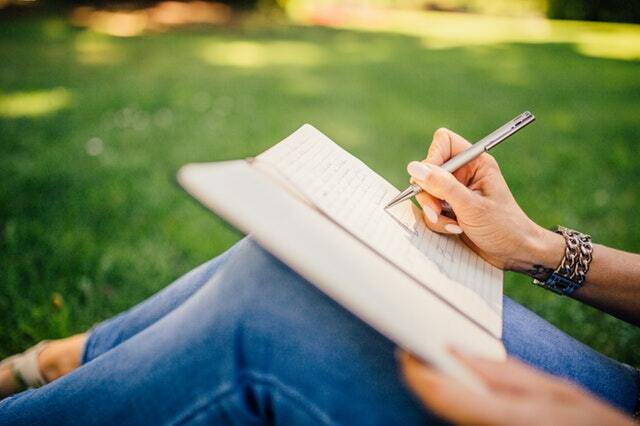 The idea that expressive writing can help people process past traumas and stressful events isn’t new, and there’s plenty of evidence to back it up. Schroder’s study is unique in that it shows the same technique can be used to prevent stress over future tasks. This could be of great help to students studying for exams or teachers preparing for the big semester ahead. 1. Make more time for free writing, even in the sciences. Usually we reserve reflective writing for language arts classes, but this study suggests that journal time could be useful in science class too. Have students write about an upcoming project or exam, detailing which subjects they’re most concerned about being tested on. Pay attention to whether performance improves with the addition of more writing time. 2. Urge students to monitor and manage their stress levels. One of the first steps in reducing stress is being able to recognise when and how it affects us. If students know there’s brain science backing the act of managing stress through writing, they’ll be more likely to adopt it as a regular strategy. 3. Use writing to remember. If, as Schroder suggests, you free up cognitive resources by writing down your worries, maybe it also works to free up brain space by writing down new material. Encourage students to take notes not just for future reference during study sessions but also as a strategy to increase their brain capacity for further learning. 4. Share these findings with your colleagues. Teachers can benefit, too. Spend some time reflecting on an upcoming lecture or presentation, or on that stack of papers to grade, in order to help your brain “cool off” and work through it all more efficiently. Most importantly, share these findings with your colleagues as well. Researchers are discovering more and more about the human brain every day, but we need to share this knowledge in order to make it useful. How very interesting. Late in life – over 70 – I have discovered that expressive writing is indeed great therapy! Encouraged to write a short ‘horror’ story, I drew themes from my own childhood – night terrors, the weirdness of synaesthesia, the death and cremation of a loved grandparent. Well! Having opened a chink, the material poured forth! I felt disorientated for a while, but aware my mind had in some new sense, ‘woken up’. Feeling so switched on I wrote a second story, all fiction. Or was it? I found it necessary to suppress the angry polemic that bubbled up, and focus on a readable story. That again felt therapeutic and grounding – even more so now it is shortlisted in a contest! Having read your piece, Saga, I’m sure a spot of creative writing, on or off topic, would prepare anyone to write a thesis on anything. I definitely agree with this article. I have found that doing a complete ‘brain dump’ on paper when I am feeling stressed certainly helps to clear my mind. Writing with no audience in mind, just concentrating on getting it out of my head and onto paper has helped me cope with my depression and anxiety. I now have a collection of my expressive writings entitled “Ranting from the Bathroom Floor” as that’s where I would hide to do my brain dump. Using this task in the classroom sounds like a great idea. Mrs. Briggs, thank you for sharing this study and its findings. I’m a well-trained lifelong worrier and am eager to use expressive writing to take the edge off. While I coped well when I was younger, recent circumstances have forced me to face the reality that my body isn’t as “resilient” so I’m seeking new ways to maximize my ability to fully be present and engaged in every minute of my life and reduce any inefficient behaviors (cognitive included). The article reminded me of technique morning pages. I read about it in Julia Cameron’s book “The Artist’s Way: A Spiritual Path to Higher Creativity ” At first I thought it was stupid. But after I started writing the morning pages, I realized that my life has changed for the better.